We’re a national charity delivered locally. It’s because of this that we’re able to fund projects that support the communities where you operate. This means you can see first-hand how the fundraising you do makes a difference. Last year alone, we supported 33 small charities around the UK, helping more than 17,000 children, young people and their families. 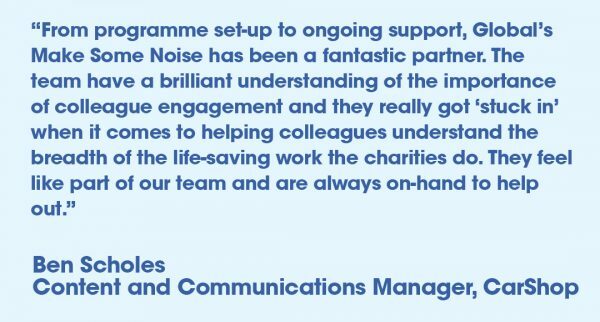 A partnership with Global’s Make Some Noise is unique and provides long-lasting legacies for both your company and the young people we support. 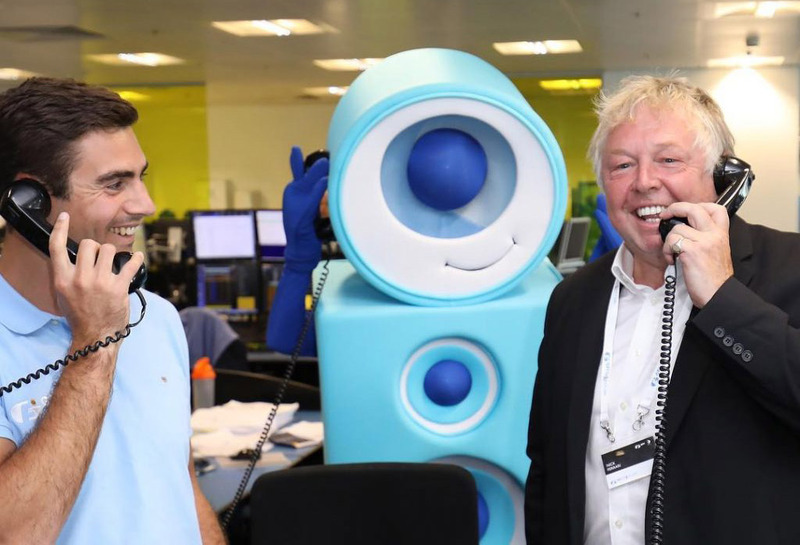 Our team are able to create bespoke 360-degree partnerships that benefit your company and help us to fund and empower projects supporting children and young people living with illness, disability or lack of opportunity. Our charity of the year partnership with CarShop is a perfect example of a collaborative project that’s been extremely mutually beneficial. Find out more about how we can work together here. If you would like to support us, we’d love to hear from you.